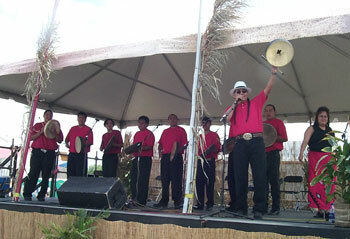 One of the best known drum groups on the Powwow circuit today is the Black Lodge singers. 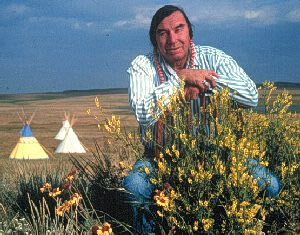 These Grammy-nominated singers are led by Kenny Scabby Robe of the Blackfeet nation. Their mother Louise is a Yakima native, and they live in White Swan, Washington. It was their idea to introduce a new style of Powwow music – songs for kids. Not the traditional kids songs about grasshoppers and prairie dogs, but songs about Mickey Mouse, Mighty Mouse, and other cartoon characters. Milt Lee caught up with Black Lodge in Rapid City, South Dakota. Ever wonder why bears hibernate, or why the prairie chicken has spots? Curly Bear Wagner has answers in this week’s Turtle Island Storytellers segment.